Just bear with me with this analogy. 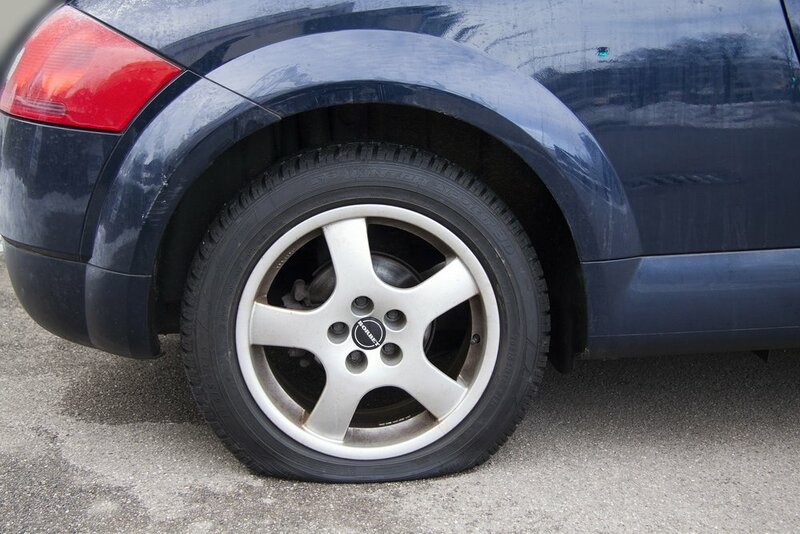 Think about the uselessness a perfectly good vehicle is when the owner finds that one of the tires is completely flat. Just that one flat tire makes a useful vehicle become non-useful. The vehicle is basically “dead in the water” until we fix the tire. I guess you could technically drive your car, but you will damage your rims in the process. My point is that a tire that has no air in it is no good to you in any way. Faith that has no substance is also no good to you in any way. We can’t be flat tires. It stops God’s will for us from being able to move forward. If we are flat tires, His Gospel stops spreading. If we are flat tires, His light stops glowing. If we allow our faith to deflate, we risk losing the race and disabling the usefulness of God’s body. So, how do we keep from being deflated? We feed our faith by following God’s Word and living a life of good works. Now, I hope no one accuses me of saying that we are saved by works because that is not what I am saying and that is definitely not what James was saying (James 2:14-26). The point is that “faith without works is dead” (James 2:26), just like a tire without air is “dead” also. The Bible is very clear on what God calls good works. Following God’s laws, loving God with all our heart, loving our neighbor, etc. One major point Paul makes is to use your gifts to serve others (Romans 12:2-13). We all have differing gifts given to us by the same Spirit just like we have different body parts that work together for our whole body. Our differing gifts should work together for the good of God’s body to function correctly. This means we have to strive to “be at peace” with each other (Romans 12:18). We also need to strive to esteem others better than ourselves (Philippians 2:3). Our walk is not a competition. Our walk is a collective effort to help each other get to the finish line. In fact, we should help each other keep our faith from becoming flat. We need to make sure that we are encouraging each other “daily, as long as it is called ‘Today,’ so that none of [us] may be hardened by sin’s deceitfulness” (Hebrews 3:13). One of our jobs as Christians, I believe, is to make sure that we don’t become “flat tires.” We need to build each other up and keep our faith “inflated.” If we don't, we will disable God’s body from being a light in this world. I believe that if we work together to keep our faith full, which requires action on our parts, we will make sure that Jesus will find faith on the earth when He returns (Luke 18:8). Therefore, “carry each other’s burdens, and in this way you will fulfill the law of Christ” (Galatians 6:2).